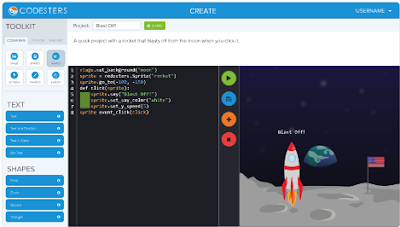 Codesters is another excellent website we are adding to our collection of coding resources. 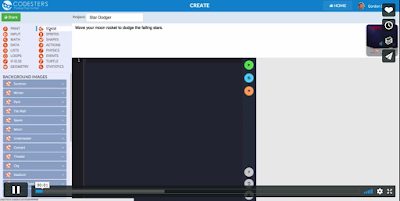 Codesters provides students with an easy and simple editor where they can engage in creative coding projects using Python. Using its drag-to-text toolkit, students will be able to drag snippets of Python codes right into their programs and see them translated into text allowing them to learn the syntax of coding in a natural way. Alternatively, they can type their own codes and when they are done they simply click on ‘Run’ to see their program in action. Some of the interactive projects students can create using Codesters include games, simulations, animations, graphical images, and many more.